A techie-turned writer, Chethan Bhagath still holds a sway over the reading mass of India. 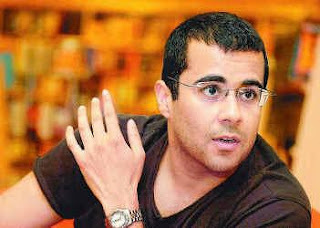 His novels, telling the tale of unusual turns in love affairs, is a reflection of his own experiences as a teenager, IITian, a corporate honcho as well as a writer. Two States that narrates the love-hate relations in the life of Ananya and Krish is literally an embodiment of the diversities we have in our so called Unity and the modern youth in India. On the other hand, One Night at Call Centre takes a dive into the yet unseen depths of a call centre employee's frustrated psyche. Revolution 2020 is no doubt a moral vision for the metro youth who run frantically after money and fame. The most exciting of all his novels, if I am asked, is Three Mistakes of My Life. Set against the backdrop of Gujarat, the novel vividly portrays how the three mistakes done by the hero throw his life topsy-turvy and land him in deep troubles. Now you can buy Chethan Bhagath's, 'the biggest selling English language novelist in India's history', novels here.